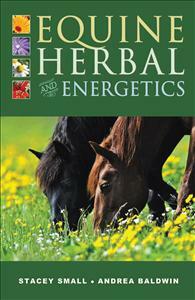 Learn more about the energetics of herbs and plants and how best to work with them with your horses. A detailed reference book to assist you in holistic horse care. For centuries many cultures have understood the energetics of plants, herbs or food and how this can impact the body. Western Herbal Medicine does not look at energetics the way Eastern Medicine does, this viewpoint has been lost and herbs are thought of like pharmaceuticals. This is unfortunate since herbs chosen based on their energetics and in small doses encourage the self-healing powers of the body.